ST. LOUIS, Mo. 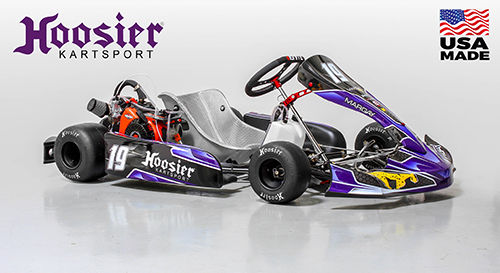 (December 06, 2018) – Margay Racing, the leading U.S. manufacturer of racing karts and accessories, announces a new distribution agreement with Hoosier Racing Tire. 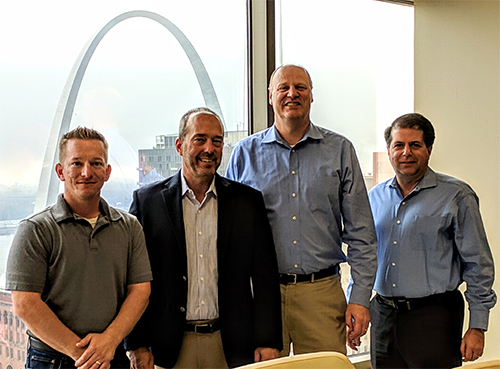 As part of the agreement, Margay Racing has become the sole U.S. & Canadian karting distributor for Indiana-based Hoosier Racing Tire, the largest race tire manufacturer in the world and a company solely committed to racing tires. Beginning in January, 2019, Margay will offer Hoosier Racing kart tires through both the company’s existing dealer network and new dealers at www.hoosierkartsport.com, providing improved product access to the comprehensive range of Hoosier kart tires. Additionally, Hoosier will develop a new tire for applications where longevity is paramount, including the Margay Ignite program. Both Margay Racing and Hoosier Racing Tire have been industry leaders for over 50 years and are dedicated to growing motorsports from the grassroots level upward. The companies share similar backgrounds, both started humbly by racing enthusiasts with a passion for the sport and a commitment to making competitive products that are accessible to a wide range of racers. Adam Batton, Hoosier Racing Tire; Keith Freber, Margay Racing; Paul Menting, Hoosier Racing Tire; John DeSalle, Hoosier Racing Tire.